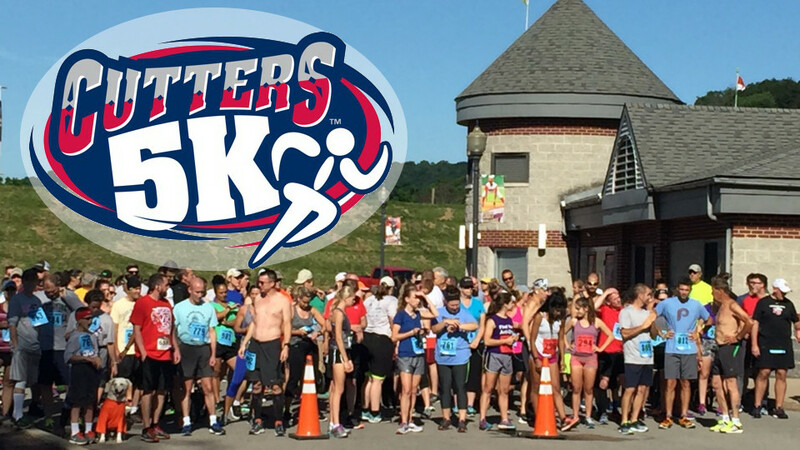 The Williamsport Crosscutters, in partnership with the Children's Development Center, will be holding the 8th Annual Cutters 5K on Saturday, June 23rd at BB&T Ballpark at Historic Bowman Field. The race, through Williamsport's West End, begins at 9am with registration open at 8am. The course has runners starting outside the ballpark entrance with the final sprint around the field on the stadium's warning track. Both runners and walkers are encouraged to take part in the event. All proceeds from the event benefit the Children's Development Center of Williamsport. Since 1923, the CDC has been providing services to children with special needs from birth to 21 years of age. Last year's event attracted almost 200 participants. "Hope Enterprises Children's Development Center is honored to, once again, be the beneficiaries of the Cutters 5K race. This event not only promotes awareness of the services we provide but has raised over $80,000 in the 7 years of the event. Hope is grateful for the continued partnership with the Williamsport Crosscutters and their dedication to enhancing the lives of children and their families," stated Hope Enterprises President, Rob Labatch. Prizes will be awarded for first, second and third place runners in seven male and female age categories with the first-place runners having the opportunity to throw out ceremonial first pitches at the Williamsport Crosscutters game on June 30th. Prizes will also be awarded to the top three male and female walkers. The event also features the always entertaining Kids Fun Run, free for children age 10 and under. All children participating will receive an award. Cutters Vice-President of Marketing Gabe Sinicropi said, "We are proud to have the Cutters 5K as one of our signature charity events each year. Hope Enterprises and the CDC are great partners and the dollars raised go to such an important and worthy cause." Registration is $15 in advance and $20 on race day. All participants registering by June 11 are guaranteed a free a race t-shirt. Online registration is available at the link below. Entry forms and more information at the Crosscutters offices at BB&T Ballpark or the CDC offices located at 625 W. Edwin St. Sponsorships of the event are also still available. The Crosscutters open the 2018 campaign on Friday, June 15 against the State College Spikes. MVP Membership plans, Bonus Books and mini-plans are available now by calling (570)326-3389, online at the link below, or in-person at the BB&T Ballpark box office.